Dip marshmallows in melted white chocolate chips, forming two stacks of four marshmallows each on a piece of parchment paper. Drizzle with melted chocolate. Top with sprinkles, chocolate chips, granola pieces and mini candy bars. Transfer to fridge until set. 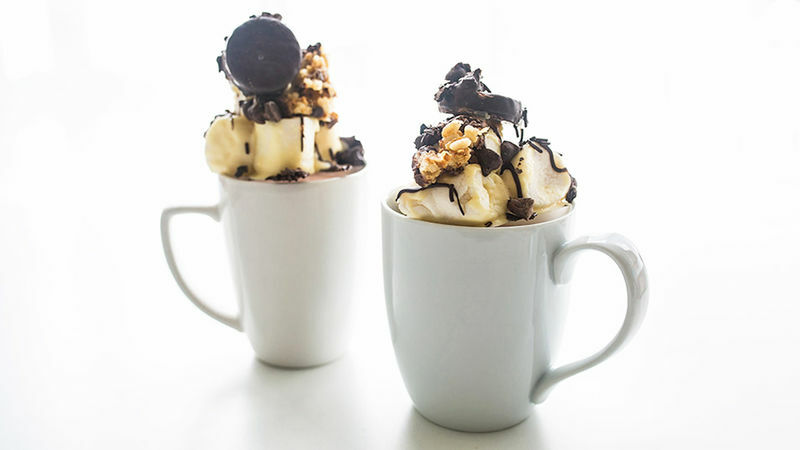 To serve, fill mugs with hot cocoa and top with freakmallows.